Everything you always wanted to know about the Brontës but were always too afraid to ask can be found in this indispensable reference work of about six hundred pages. At a penny under fifteen pounds, it is as affordable as it is informative. 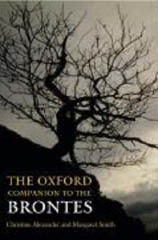 Unlike The Cambridge Companion to the Brontës of 2002, which is a short collection of essays serving as an introduction to the works of the sisters only, The Oxford Companion to the Brontës contains long feature entries which survey the lives of all four siblings, their novels, poetry, juvenilia, letters, and artistic works. There are full-length essays that place them in their literary and social contexts, and shorter feature entries relating to their education, to biographical research, and to the critical reception of their work from their own time to the present day. It includes critical assessments that range from biographical responses to psychoanalytic and post-colonial readings. 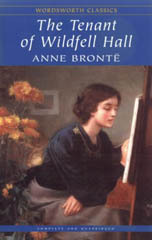 In this A-Z reference book, the editors bring together more than 2000 entries prepared by international Brontë scholars and experts – where else would you learn that as children the Brontës had one pet goose named for Princess Victoria and another named for her German aunt, Queen Adelaide, or that the 1992 Paramount film of Wuthering Heights had to be called Emily Brontë’s Wuthering Heights, because the estate of Sam Goldwyn holds the copyright of the simple title? We also learn that there are still Brontës around, descendants of Rev. Patrick Brontë’s brothers William and Matthew. Of most interest to me in this great reference work are the Scotland-related entries. These are of course scattered, and occur under such headings as ‘Edinburgh’, ‘Scott’, ‘Hogg’, ‘Blackwood’s Magazine’, ‘Wilson’, and ‘Moir’. The inclusion of ‘See’ or ‘See also’ references alongside these headword entries might have been helpful. Indeed a full-length feature entry on, say, ‘The Brontës and Scotland’ would have brought all these subjects together under one heading and created a new article in itself. However, there is an abundance of cross-referencing, so all is not lost. They had all avidly read Scott, too. His poetry, and the ballads he collected, heavily influenced their juvenile writings, and Anne and Emily set their Gondal saga amid ‘moorlands of heather, fern and bluebells, snowy mountains and cold winter winds … that reflect the landscape of Yorkshire and Scotland.’ And in their mature works, Scott’s novels are time and again alluded to and quoted from. 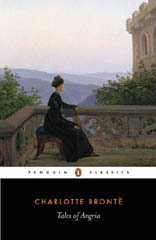 Again, Charlotte recorded her thoughts about Scott, recommending him to her closest friend, Charlotte Nussey, ‘for fiction – read Scott alone, all novels after his are worthless.’ And Emily is said ‘to have largely learnt her trade as a novelist from the Scottish master,’ whose influence in her Wuthering Heights is ‘unmistakable.’ Charlotte later briefly visited Edinburgh, in 1850, and found the city ‘a lyric compared to the prose of London’ and was moved by the great monument to Scott, which had been completed six years earlier. Byron too, whom we really should regard as Scottish, massively influenced the young Brontës, who first encountered his name in Blackwood’s Edinburgh Magazine. He cast his spell over them. The Gondal saga owes much to Byron in terms of his ‘moods, themes, and characters.’ Charlotte, by the age of 18, had become infatuated with him, but did recover from this. Branwell too was obsessed, ‘identifying closely with the dark side of the Byronic Hero,’ and never quite managed to throw him off. And in Emily’s Heathcliff and Charlotte’s Rochester, the ‘full measure of the Byronic impact’ can be seen. As a source of inspiration to the young Brontës, the importance of Blackwood’s was huge. Here it was that they first encountered the authors J.G. Lockhart, John Wilson and James Hogg. The twelve year old Charlotte precociously described this literary magazine as ‘the most able periodical there is.’ Such was the effect that this magazine had on the young Brontës that Charlotte and Branwell modelled one of their miniature magazines on it, calling it Branwell’s Blackwood’s Magazine, which underwent a change of name to Blackwood’s Young Men’s Magazine when the thirteen year old Charlotte took over the editorship from her brother in 1829. Branwell admired Blackwood’s Edinburgh Magazine to such a degree that he wrote frequently to the editor for a position on its staff. But his letters languished unanswered in the publisher’s files, only being discovered in the last years of the nineteenth century by the Edinburgh writer Margaret Oliphant when she was researching her ‘biography’ of the publishers William Blackwood, Annals of a Publishing House. So desperate was Branwell to join Blackwood’s that after the death of James Hogg in 1835, he wrote to the editor, offering to take Hogg’s place. ‘Understandably, Blackwood declined to respond to Branwell’s tactless proposal.’ Poor Branwell. After his death, it was to take more than a century and a half ‘with the completion of the three-volume edition of his writings before biographers were able finally to assess accurately his life and achievement.’ And it is poignant to read the reference to his last surviving note, a request to his friend and confidant, the Haworth sexton and stonemason John Brown, urging him to ‘contrive to get me five pence worth of Gin,’ while the rest of his family were at church. Whether you are coming fresh to the Brontës and want just to learn some simple facts about their lives and the times in which they lived, or as a seasoned reader in search of abstruse and arcane and otherwise elusive details, The Oxford Companion to the Brontës is as comprehensive as it is authoritative as it is accessible, and provides a wealth of interesting facts and digestible information about this most remarkable of literary families.